I didn’t know there was a wrong to way to make a sacrifice. Shouldn’t the act be enough by itself? Back in college I went out of my way to help a friend. I mean, I took the better part of my day to help him out. Huge, huge sacrifice! Epic! Look at how much I care for you! He didn’t respond with much gratitude if any, and I just about lost it. The nerve! How dare he! I spent my day helping you, and you can’t even say thank you? While most writers struggle with comparing ourselves to others, there’s another subtle trap that we can all fall into: the trap of resentment. If only “those people” would notice our sacrifices! I write in Pray, Write, Grow that I had to learn that my writing is a gift to others. A gift isn’t a transaction. While some of us in a more affluent culture have certainly turned gift-giving into quid pro quo transaction where a gift given must equal the gift received, the nature of a true gift removes any hint of expecting anything in return. I’ve been there. Heck, I’ve LIVED there for months at a time. There’s been no greater challenge than watching a book I’ve labored over fizzle as readers see it, shrug, and walk away. The moment we fall into the resentment trap, we turn a “gift” into a transaction, even if we’re not expecting something tangible in return. We’ve made a particular response or affirmation part of the exchange. At the root of all this, we return to the core issue of identity. Where do you find your identity? Do you let God define who you are and what you’re worth? Do you let your work or other people determine your value? Most writers I know hate editing, but what really breaks us is the publicity and marketing process—the moment when we put our finished work in front of readers and pray that some read it, enjoy it, and, hopefully, share it with others. Letting go of my hopes and expectations for my writing has been excruciating. It feels like I’m giving up or at least setting my sites ridiculously low. Letting go of my hopes and expectations for my writing has also been liberating. I just have to be faithful. I have to write where I feel led. And if I’m only going to base my success on faithfulness, then I’m only more motivated to make sure my work lines up with God’s direction for my life. If I’m only writing out of a sense of faithfulness to God, then I better sort out God’s direction first. Without that direction, my work is a complete waste of time. If I’m not looking for anyone else’s approval or applause, I need to at least make sure the starting point is solid. If praise and applause follow, that’s nice, but it’s not the foundation or the driving force behind what I write. May we learn how to make sacrifices without falling into the trap of resentment. May we find the freedom and joy of giving our creative work to others as a true gift. 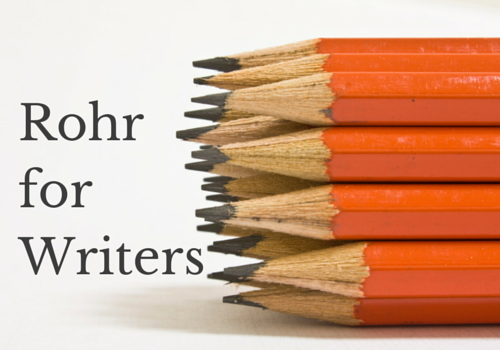 Rohr for Writers is a new blog series at www.edcyzewski.com that is based on the ways Richard Rohr’s writing speaks to writers. We’re going to spend the first few weeks looking at key quotes from Immortal Diamond. 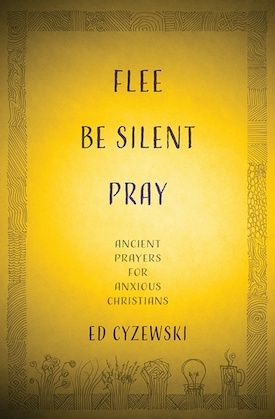 You can grow in both your prayer and writing by developing the same practices. Check out my new book Pray, Write, Grow: Cultivating Prayer and Writing Together to learn simple exercises you can incorporate into your day right now.